“I am very concerned that if we as individuals and families do not know what to do and are not prepared, that every one of us then becomes a ward of the state.” He then asked, “And are we not enormously stronger if we are individually and family wise self-sufficient during an emergency like that?” U.S. Representative Roscoe Bartlett, “Threat Posed by Electromagnetic Pulse Attack” U.S. Armed Services Committee, July 10, 2008, page 28. There are many natural and man-made threats to the safety and security of the United States that our politicians take seriously and prepares the country for; war, terrorism, chemical, biological and nuclear attack, civil unrest, hurricanes and tornadoes, etc. There is one threat that Congress has known about since researchers of this threat brought it to their attention in 1997, but Congress has failed to react to protect Americans from this threat, which is still true today. That threat is nuclear-based Electromagnetic Pulse (EMP) attacks on our power grid. There is also a natural threat very much like an EMP called a Coronal Mass Ejection (CME) (also known as geomagnetic disturbance (GMD), solar storm, space weather or solar flares) that originate from the sun and disrupts electronics with a huge static electrical power surge, much like a nuclear based EMP. The CME is believed to be a once in a 100-year event, which we are 7 years overdue. We are currently in a Solar minimum cycle. In Solar minimums, the Suns’ shielding effects on the earth are reduced, which presents a higher likelihood of cosmic disruption due to the earths’ increased exposure to solar cosmic radiation, weakening our magnetic shield, which also could cause life threatening disruption to our power grid, as well as severe weather changes. Since our federal and state legislators have failed to properly protect the citizens of our country, there needs to be another approach initiated from the grassroots level of our communities. This grassroots initiative is called Continuity of Community, which brings back the concept of civil defense; local citizens working to prepare, respond to and recover from an All-Hazards threat to our communities and our way of life. The concept of Continuity of Community is a call for a renewed system of community-based civil defense. The original mission of the civil defense system of the 1950’s through 1980’s would not work as well in our modern age as it was singularly focused one one threat, a Soviet nuclear missile attack. We need a more streamlined system, but one robust enough to provide for the care, feeding, safety and security of our homes, neighborhoods and communities. 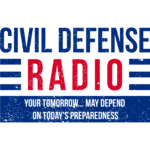 The call for renewal of the civil defense system in America is not new to the Trump era. In fact, since the terrorist attacks of September 11, 2001, there have been multiple calls for a revival of civil defense, the most recent from the 112th Congressional Session of the U.S. House of Representatives in House Resolution 762 Expressing the sense of the House of Representatives regarding community-based civil defense and power generation on August 2, 2012. There are several threats to the safety and security of the United States today that keep many of those who are aware up at night. The number one threat is an EMP attack. The reason EMP is at the top of the lists of many scientists, military leaders and some in Congress is because it does the most damage to our infrastructure and causes the most deaths long-term. According to some experts’ estimates, if the U.S. were attacked with an EMP weapon that affected the entire country, upwards of 90% of the US population would parish within one year. These potentially several hundreds of millions of deaths would result from poor sanitation, disease, civil unrest, raging fires, starvation, lack of potable drinking water, and many other causes. To save the most amount Americans we must have a plan. FEMA doesn’t have a plan. The state emergency management agencies don’t have a plan. There most likely isn’t a city or county government in the nation that has a plan. Our big federal government and FEMA’s centralized big government top-down style of emergency management isn’t the answer. Responding after the fact is not a real plan for the type of catastrophic event this threat represents. They won’t even be able to respond to help themselves in their secret bunkers, let alone every city, county and state in America. There is no EMP-based scenario in DHS and FEMA’s National Incident Response plans. What would a plan look like? The plan would begin with honestly evaluating and thoroughly understanding the potential effects of these threats the community faces and begin the process of preparing for a worst-case scenario. That worst-case scenario, no matter how remote, must be the starting point to begin the planning and training process. A step-by-step plan will guide the efforts to educate, prepare, train, stockpile, and exercise the plan before the actual need arises. All other disaster scenarios along the continuum are scalable and can be met as they are less lethal and destructive to the community, but the preparations for it have already been planned for in the event of the worse-case scenario. City/County assets will have to be guarded from looters/criminals (assets include: government buildings and offices, other critical infrastructure, banks and credit unions, grocery stores, hospitals, clinics, pharmacies, liquor stores, gas stations, etc. The possible threat of war with Russia, China, Iran and North Korea has been in the news a lot of late, especially with Iran and North Korea making threats and pushing to test their intercontinental ballistic missiles. These missiles could carry a nuclear warhead to the U.S. or one of our allies, threatening peace and security internationally. This could cause the entry of other nations taking sides with one or more of these rogue actors, which could bring the world to the brink of WWIII. The lessening threat of North Korea is not a done deal yet. They still could be a major threat for many years to come. The exponential growth of modern technology has made life in the industrialized world much more comfortable. The reliance on electrical gadgets and technology is at an all-time high in America. Without electrical power, the U.S. would not be the economic powerhouse we are today. The national power grid is essential for life and our military defense. However, the electric power grid and power generating facilities are extremely at risk of disruption via EMP attack, cyber-attack or physical attack. The power grid could also face a three-pronged attack using all three methods by terrorists or rogue state actors. China and the old Soviet attack strategy against the United States was to kill us first with an EMP and kill us second with a nuclear strike. Then they would commence physical attacks, if that was something they wanted to commit to. There is reporting that Iran and North Korea have adopted the old Soviet strategy, but altered it to include EMP, cyber and physical attacks on our power grid by hostile saboteurs possibly prepositioned in our country already. They would begin with a massive cyber campaign targeting our critical infrastructure. Then they would hit us with either a satellite-based nuclear EMP strike, or with sea-based nuclear tipped SCUD missiles from cargo ship in the Gulf of Mexico. The North Koreans currently have two satellites orbiting over the U.S. twice per day in a North-South trajectory. They could drop one or both of their satellites, if, in fact, they were nuclear capable, to just 72 miles above the center of the United States and detonate it. This would cause a cascading crash and/or instant shutdown of the entire electrical grids of the United States and much of Mexico and Canada. Or, they could use one of their SCUD missiles with a nuclear warhead launched from a cargo ship off the coast of the United States. There are virtually no defenses in the U.S. inventory that could react quickly enough if the attack was done in a certain way. A nuclear explosion at a height of just 40 to 72 miles above the center United States could send us back into the early 1800’s, before the modern industrialization in America began. Both the Iranians and North Koreans have practiced just this technique. A long-term loss of our power grid would also trigger a financial collapse of the US dollar and economies around the world. An EMP attack can shut down all electricity producing equipment and machinery, but also all vehicles and other devices due to a very rapid massive static electricity power surge. This potentially can not only shut down our ability to use electric power for months to years, but would also cause the deaths of potentially millions of Americans reliant upon electronic life sustaining devices and refrigerated medications. An EMP attack on the homeland is a huge equalizer for those rogue state actors and terrorists who hate us and wish to deal a major blow to our ability to counterattack. The majority of US military bases rely on local power supplies for their operations, which would put them in the dark also. Also known as a geomagnetic disturbance (GMD) and coronal mass ejection (CME) – Much like the EMP effects on our power grid, the only difference would be possibly anything that was plugged into the grid would be fried. Vehicles would still run, at least until the fuel ran out; cellular phones would work, unless they were plugged in at the time of the event, but no cell towers as they would be fried also. Lights would be out, refrigerators and freezer would no longer work. Life as we know it would change in an instant. In 1989 Quebec, Canada was hit by a mild solar flare and they went dark until outside help could reestablish their grid. Nobody would be able to help a nation such as ours get back up online very quickly. This seems to be in the news all the time so it is not new. What many people do not understand is that all the threat actors listed above have the capability to conduct cyber-attacks on our power grid and melt it down from within. In Ted Koppel’s book from 2015, entitled Lights Out, he stated the Russians, Chinese, and possibly the Iranians and North Koreans were already in our nations’ power grid via cyber spy craft. He also said that ISIS may also have the capability to hack into our grid. A recent incident in New York state identified cyber actors attempting to shut down the power generation of one of their dams, but that was luckily discovered in time and a crisis was divereted. Our critical electric infrastructure is exposed to all the world. From our nuclear power plants, power stations, high-voltage transformer sub-stations, to the power transmission lines we see everywhere are all vulnerable to physical attack. A coordinated attack on multiple components of our exposed power grid could be very damaging to the areas affected, but still could be repaired, over time. But if the damage is extensive enough and the right components destroyed, the grid could be down for many months, even years. It is estimated it would take 12 to 18 months, or longer, to manufacture the replacement parts, transport them from overseas and replace the damaged components to restore our grid, one location at a time. In the meantime, our economy would suffer catastrophic loss and many lives would be lost from the same reasons as an EMP attack. An incident in 2012 at the Metcalf sub-station in San Jose, California nearly ended in a major catastrophe. Three men with AK47 rifles broke through the meager security fence and strategically positioned themselves around the transformers. They began firing and shut down the transformers, but not before the switching software transferred the power load to another nearby sub-station. If the saboteurs would have been successful with their attack on the sub-station, Silicon Valley would have gone dark until power could have been restored. At least a few experts and military special operators believe this was a dry run attack, or proof of concept. The saboteurs, or “vandals” as they have been called in the media, may have also been observing the response times and techniques of law enforcement and repair personnel, which was very slow. If terrorists were the ones that conducted this criminal attack on the sub-station they now have a much better idea of what to do. The U.S. is a debt-ridden nation with $20 Trillion of national debt. There are many financial experts and non-financial professionals alike who believe the United States is on the brink of a major financial collapse. And it would be even worse than the financial troubles of 2008. If we would, in fact, have a financial collapse, it would not be as civilized as 2008, or even the last one history remembers as the “Great Depression.” This one would not involve tax money bailing out the banks and Federal Reserve, but everyone’s retirement accounts would be confiscated by the banks. Everyone’s money in 401(k)s, 403(b)s, IRAs, ROTH IRAs, money market accounts, and even possibly savings and checking accounts over a certain amount would be gone with a few key strokes. This is what the industry calls a “bail-in.” They have done this in Greece and other countries in the past few years. Financial advisory newsletter publishers have been warning of this for at least five years. If everyone’s’ life savings were confiscated in a “bail-in”, the results would be even more devastating to our economy; think Argentina in 2001, but 100 times worse. The financial failures of the Socialist government of Venezuela is a current example of a country in crisis. One would hope the United States would not experience the level of failure of civility Venezuela has. The potential troubles for America during a financial collapse would be very troubling indeed. The United States is more divided today than any other time since the Civil War. There are those in the political activist movement of the political Left who have been using violence against their fellow Americans and violating their Constitutional rights of free speech. Disagreement with someone’s views and beliefs is not a reason to attack them and bloody and molest men, women, and children. These demonstrations of true fascism against peaceful supporters of the current President may be a prelude to what is to come. When police are ordered to “stand-down” and allow unprovoked violence against peaceful citizens gathering to express their support for a political belief, it inspires the violent activists to feel emboldened and increase their attacks and ferocity. Soon, there will be the introduction of firearms, as seen in videos and Facebook posts from members in the ANTIFA movement. The victims of all these violent attacks are beginning to organize and fight back, as expected. There will soon be more incidents of these violent clashes spreading around the country. This side of the conflict will not fail to rise to the challenge of the Left. It is unfortunate that this is happening in America today, but there is a war on for the hearts and minds of Americans, and it isn’t just a battle of political ideas, but one that has already spilled blood in a softball field and in the streets of America. Nuclear, biological and chemical attacks on the homeland have been a fear for many in government, military and first responders for years. What is new to this threat is the increase in Muslim extremism and rogue states willing to support and partner with such extremists. There are robust efforts to identify and disrupt such attacks prior to them taking place. Even if one of these gruesome attacks were to succeed, it still would pale in comparison to an EMP attack on our country. More lives would be lost from an EMP than any of these other types of attacks. Severe natural weather events are common in many areas of the nation. Hurricanes, tornadoes, floods, wildfire (which can be used as a form of terrorism like in Israel in 2018), etc., cause death and destruction every year. 2017 was an extreme example of this. The Houston area set the example of neighbor helping neighbor, which is what it is all about. It was heartwarming to see the people respond the way they did in a true spirit of civil defense. It really does take a village. The duty to prepare, organize and respond to help our neighborhoods and communities is every individuals responsibility. A robust civil defense organization is the key for our collective safety and security during disasters and catastrophic times. It worked very successfully during and after World War II, it can work again in our time just as well. A community-based civil defense organization is the answer to the life-changing threats we face today.